Yes 108 amperes! A current of 108 amperes goes through the GPU. But watch out my friends, the GPU we are talking about, is the one behind the GeForce GTX 480. 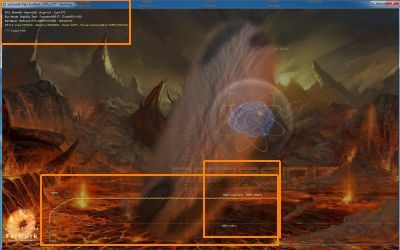 To reach 108A, the GPU is overclocked to 797MHz (the reference clock is 700MHz) with a VDDC (GPU voltage) of around 1.04V (the non-oc VDDC is 1V). 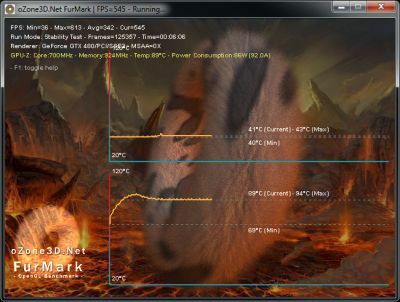 The guys at pcbrain.it have FurMark-ed a GTX 480 with standard clocks and VDDC and with overclocked settings. 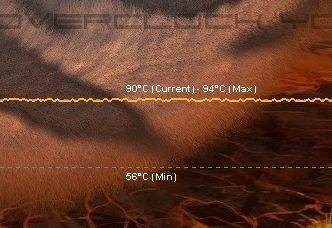 They have done the test with the stock VGA cooler and with Thermalright’s SpitFire (official page HERE). 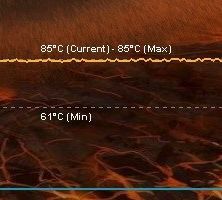 These images clearly show the GPU that is throttling back when temperature is too high: the temperature curve does not follow a normal heat progression. 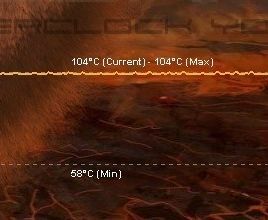 This is the overheating protection of the GTX 480. 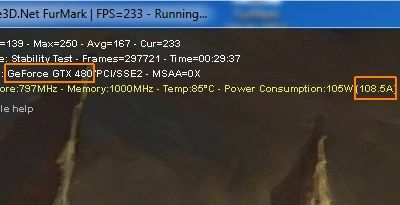 As you can see, with a good VGA cooler, an overclocked GTX 480 can resist without problem to FurMark torture stress test. More than 100 amps for a GPU… These numbers are just impressive. I wonder if the GTX 480 can support such a current during a long period… I hope so! Get a clue and take high school physics. Why is this a shocking number at 1V? If it were 108 Amps at at 120V you would be pulling 12+ kilowatts. Actually the power consumption is calculated from GPU-Z sensors: VDDC and VDDC Current. And the VDDC value read by GPU-Z is a bit lower (less than 1V) than the value set by the tester (1.04). That explains the numbers. Did you guys go to school at all? More than 100 amps. If that be the case you have to have a nuclear reactor for every home. Suggest you google OHMs law before you tattoo failed across your forehead. You might want to look at the output of the PSU. It’s 12 volts@105 watts=12.6 12v amps. The 100 amps are under a voltage of around 1V, so no need a nuclar reactor to feed the GTX 480! 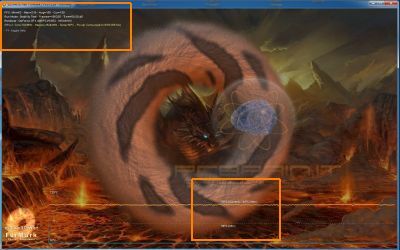 Keep in mind that GPU voltage is not 12V or 5V but 1V. Yes it’s possible. 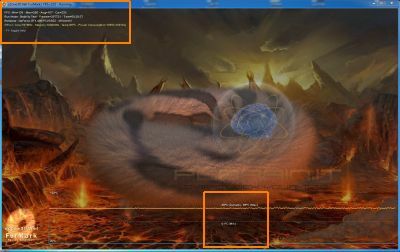 I add your request in the next update of FurMark. 108 amperes! That’s going to kill a shitload of cows! 108 Amps is foolish! It would require a huge conductor, nevermind if it is just 1V.